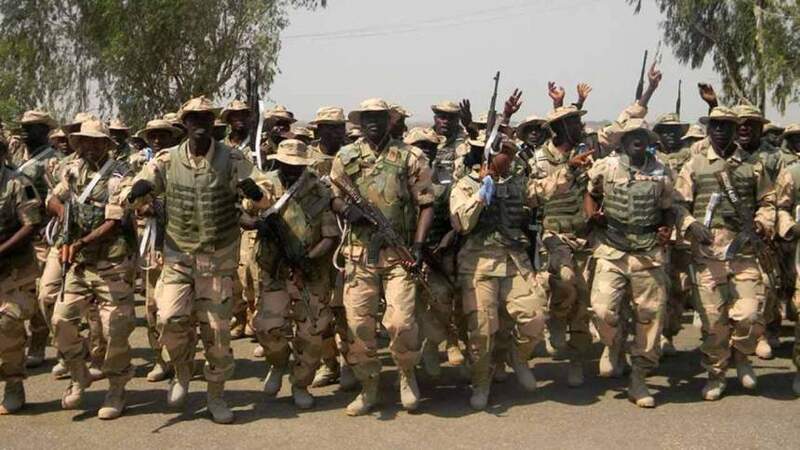 The Nigerian Army has trainied 197 soldiers and officers ahead of their deployment to The Gambia for a peacekeeping mission, a statement from the military disclosed on Thursday. Army Chief of Staff, Lt.-Gen. Tukur Buratai, unveiled the planned deployment at the graduation of NIGCOY 4 ECOMIG pre-deployment training which took place at the Lt-Gen Martin Luther Agwai International leadership peacekeeping Centre, Jaji in Kaduna State. Buratai was represented by the Commandant Nigerian Army School of Infantry (NASI) Maj-Gen Ali Keffi. Out of the 197 personnel, 12 are officers while the remaining 185 are soldiers. Buratai said the graduation confirms the commitment of the Nigerian Armed Forces to deploy quality peacekeepers as part of its contribution to the quest for global peace and security. According to him the pre-deployment training was aimed at refreshing knowledge and expertise for peace support operations in The Gambia. “It is to equip you with the requisite skills required to protect yourself and equipment while carrying out the mission‘s mandate. “Generally, the techniques and procedures impacted on you during your training will put you in good frame of mind to discharge your duties in the mission area. “I caution you to avoid any ugly incidents that could tarnish the image of the Nigerian Armed Forces in particular and the nation in general” he warned. Buratai charged them to discharge their duties in consonance with the mission’s mandate at all times. “I must also remind you that the rules of engagement in the mission give you the latitude to exhibit utmost professionalism in the discharge of your responsibilities” he added. He advised the soldiers to respect the cultural and religious sensitivity of the people of the host nation and stay away from the trafficking of illicit substance of any kind, such as alcohol and drugs as these negates United Nations ethics. Earlier the Commandant of the Centre Maj-Gen Abubakar Tarfa, disclosed that the pre-deployment training lasted for four weeks, and the soldiers are expected to be in The Gambia for a year.